I am an Earth scientist who researches the physical processes of rivers, with a particular interest in the influences of climate and wildfire, as well as interactions with aquatic ecosystems. Currently, I am a Research Associate in the Department of Watershed Sciences at Utah State University. My dissertation, conducted at The University of Texas and completed in 2016, examined how climate-dependent chemical weathering processes can influence the patterns and rates of erosion in mountain rivers. This research was published in the journals Nature and Geology. 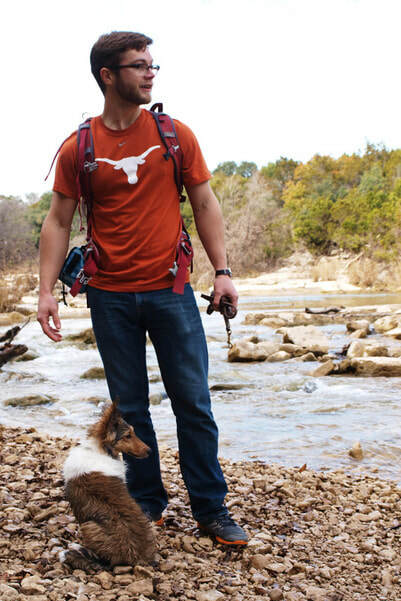 Hiking along Barton Creek in central Texas.